​world-class health care professional assistant for senior care. 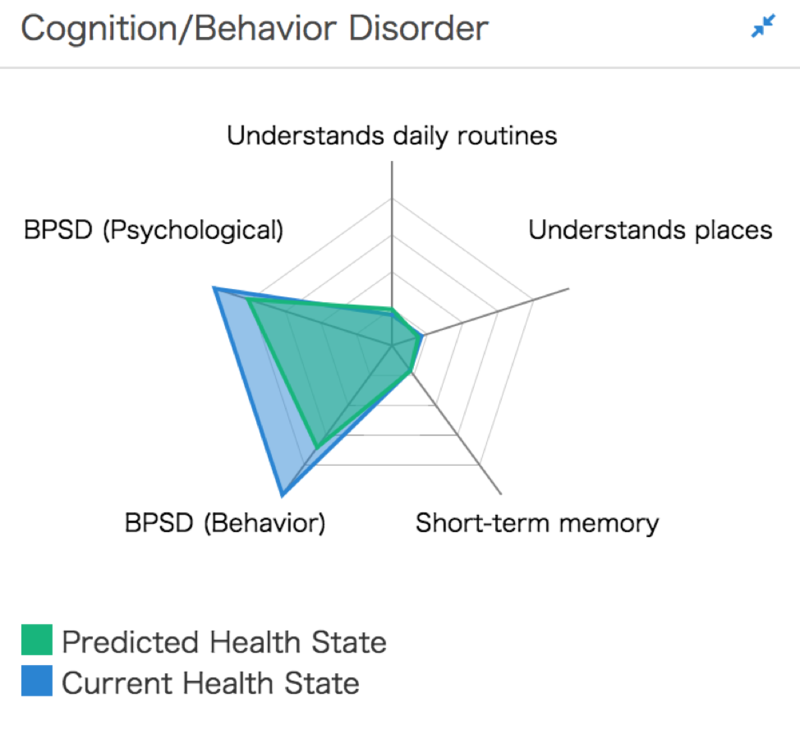 We call it MAIA and it uses state-of-the-art machine learning to process patient health records and propose optimal care plans to improve their independence and health. 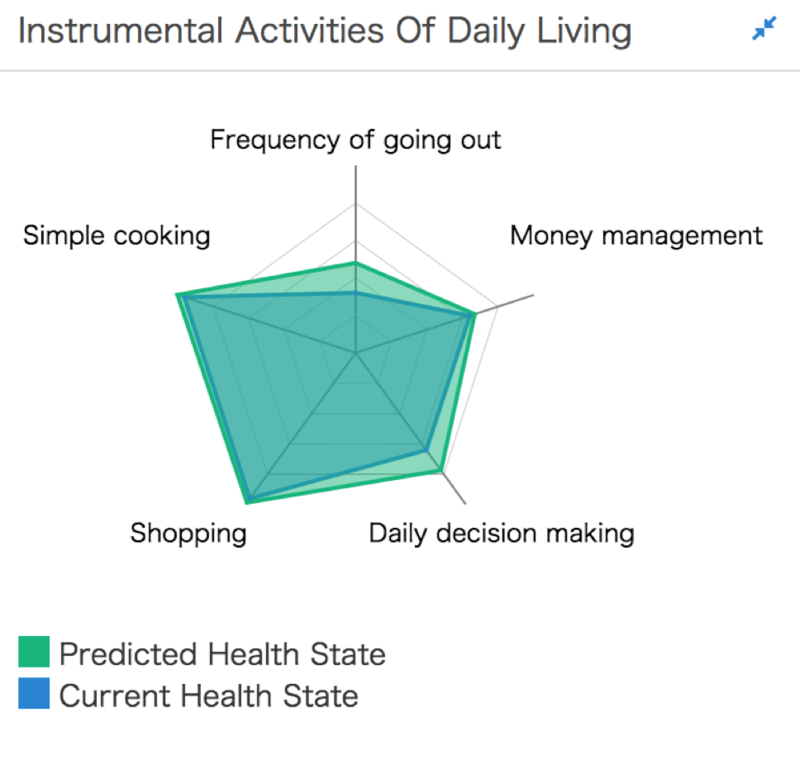 Is a modern AI system that can more affordably and effectively enable care planners to build care plans that will generate the largest gains in seniors’ self-care capabilities. ​Nations around the world face rising demand for costly institutional care that many seniors’ dread. In the United States, the cost of long-term care would more than double from 1.3% of US GDP in 2010 to 3% of US GDP in 2050 if the rate of functional limitations among those age 65 and older remains constant. Japan faces an even worse situation, where the rapidly aging society led to the introduction of mandatory public long-term care insurance (LTCI) in 2000. In 2015, the Japanese population over 65 years old was 33 million out of 126 million citizens. By 2025, the number is anticipated to grow to 37 million although the total population is projected to shrink to 120 million. LTCI beneficiaries are expected to increase from 6.2 million to 7 million in the same period. This rapid shift in demographics presents an adversarial problem (1) more seniors requiring care (2) fewer caregivers to supply the demand. In Japan, nursing care workplaces are chronically short of human resources. The job offering ratio of nursing care service positions 3.14 is much higher than the nation average 1.22 (Ministry of Health, Labor and Welfare, JP). Nowadays, a care manager assigns the health care plan each patient receives. In Japan, it is common for a care manager to be responsible of ~40 elderly seniors. Care managers spend 40% of their working hours in the creation of care plans. Each senior has a unique health history and hundreds of possible concurrent health conditions. It is intractable for professionals to keep up with an increasing number of care receivers and to understand the causal effects of their crafted plans. MAIA helps care professionals to give their patients a more personal quality of care without being slowed down by algorithmic work. 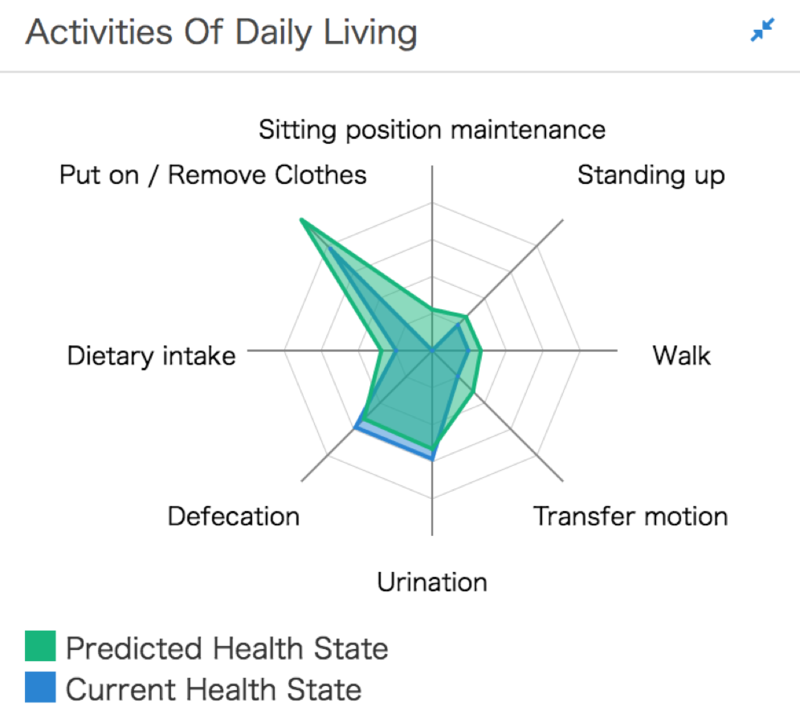 Our AI leverages the intrinsic properties of health records and proposes new care plans with higher chances of improving health to intelligently support elderly persons and their caregivers in living independently, safely, longer. Our AI is fueled with hundreds of thousands of health records collected over 17+ years from different places and people. Care managers using MAIA during the orientation seminar. On November 6, 2017, we started randomized controlled trial at Toyohashi City. Care managers from 19 service offices city gathered for orientation. Care managers introduced patient health assessments and our AI proposed care plans and their predicted outcomes. 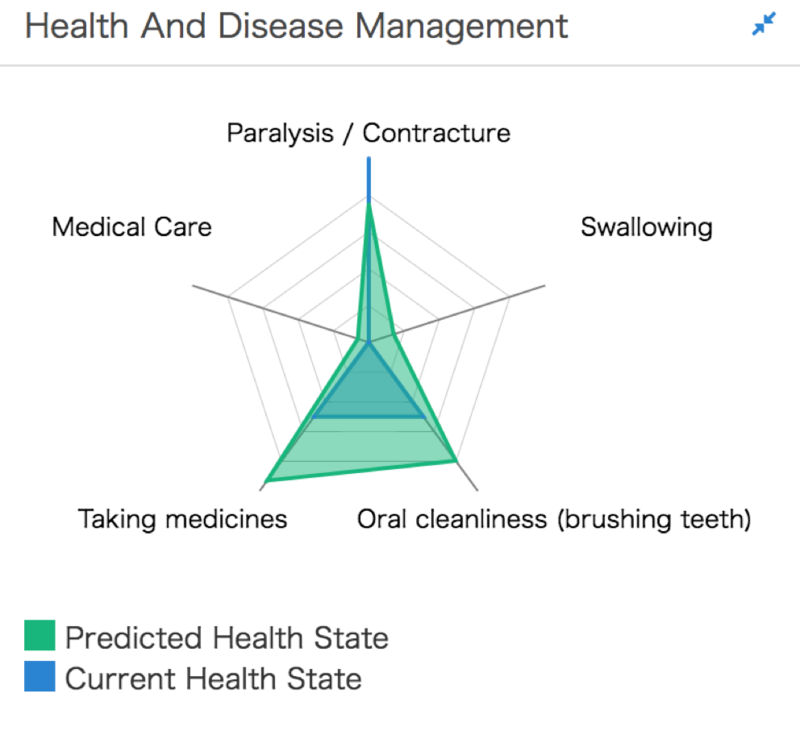 Care managers can modify the care plans and analyze the predicted effect on their patients. 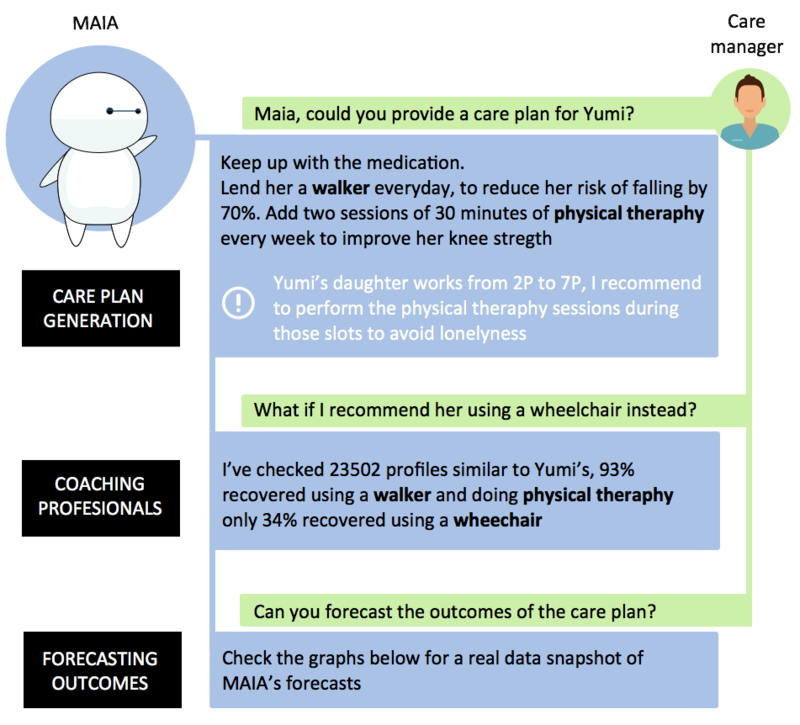 Currently, care managers are using MAIA on their daily basis by adding new cases, and discussing with patients the forecasted outcomes. The trials are expected to continue until February 2018 where officials will conduct comparative analysis. ​We are testing MAIA at Toyohashi City in Japan, starting November 2017. The city will provide approximately 100K cases from their archives for fine-tuning our algorithms to the city local needs. 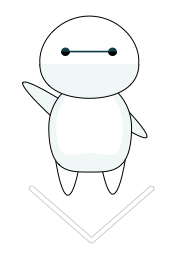 We embarked on a partnership with the Care Design Institute Inc. and with Saint Care Holding Co. Ltd. to research, develop and deploy our AI in Japan. The venture is backed by the Innovation Network Corporation of Japan (INCJ), JGC Corporation, Industrial Shinshin Co., Ltd., and others.